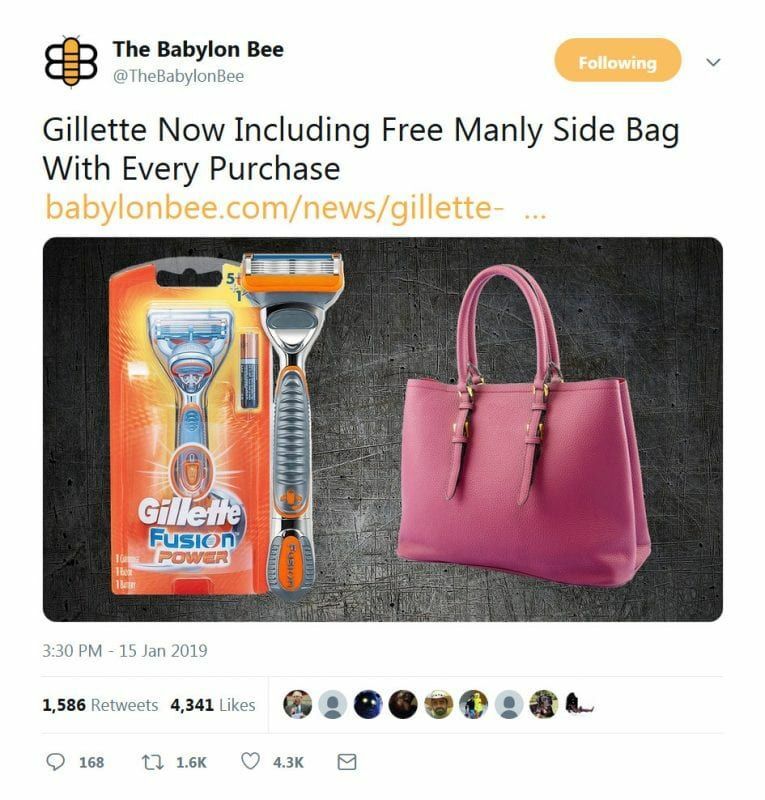 GILLETTE TRASHES MASCULINITY. HARRY’S RAZORS SAYS HOLD MY BEER. It’s the Babylon Bee, so it’s satire — but is it, really? And if you missed it earlier: Surprise: Genius behind man-hating Gillette ad is a radical feminist.